She's made your bed. Now you can die in it. Wednesdays get weird when Late Shift hosts Ross Meyer, Joe Derderian and Aaron Holmgren dig up low-budget b-movies, horror and gore-fests, and camp classics for your viewing pleasure. Buy your ticket and take a ride in our Time Machine! Punch in and earn a bonus! $3 Pabst Blue Ribbon tallboys and $2 small popcorn! PLUS -- special custom trash trailer reel curated by Ross with cheap swag and prize giveaways! 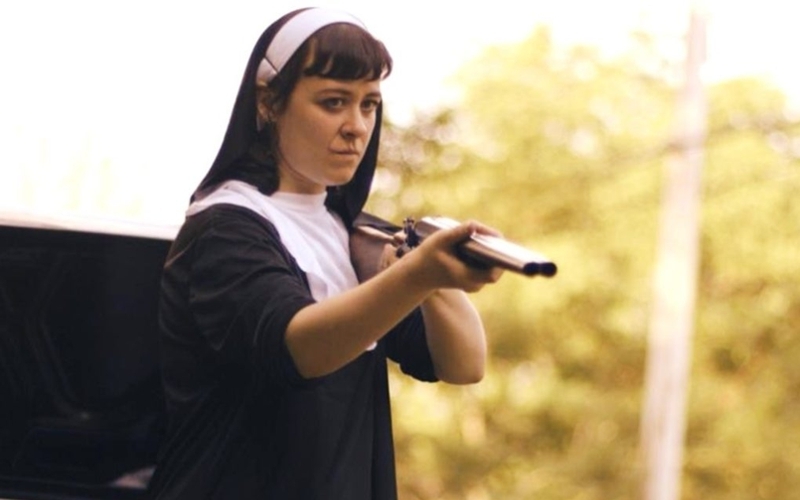 "Get My Gun is a grindhouse gem that tells a grueling tale of female empowerment and doesn't hold back." Cleaning hotel rooms is how Amanda (a fearless Kate Hoffman) makes ends meet, but one day, she enters the wrong room. Brutally attacked, Amanda is left emotionally shattered and pregnant. Looking to forge ahead, the resilient young woman has to tap into her basest survival instincts when a relentless stalker makes his or her intentions known.